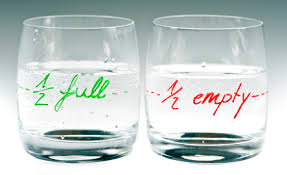 I am a person who sees the glass as half full instead of half empty. I have seen the world this way for as long as I can remember. It is why I am a survivor, and nothing keeps me down for very long. I am also very self-aware. When I feel myself being pulled down by my emotions or my line of thinking, I change the channel. On purpose. With intent. I make the choice to change my way of thinking. It amazes me how many people allow their circumstances to choose their emotions or their way of thinking. It's why they often find themselves stuck in a negative pattern. Often times, they make choices based on how they feel in the moment and, many times, regret those choices later. Unfortunately, thanks to technology and social media, their next step is usually to whine about their regret to the rest of the world. I've considered getting off social media because there seems to be more negative posts than positive ones. Why do people feel the need to post every thought or every emotion they feel? I really don't understand it. The thing is, I don't have to understand it...to ignore it. And that is exactly what I've done. I decided not to get off social media because it is a way I keep in touch with family and friends that are scattered all over the world. I get to see family photos and watch children grow and hear about weddings and births and celebrations. Are some family and friends more negative than others? Well, yes, of course. So, what do you do when some are just too negative? In case you didn't know, most social media has some kind of filter, or block, you can use so you don't have to see all that negativity. You don't have to "follow" everyone to be their "friend." You don't have to see every post they make about every headache they have, every bad date they've been on, or see every photo they post. And how do I choose who I see on a limited basis (with a filter) and who I allow to flow through my life, without restriction, on social media? It all comes back to the "half full/half empty glass" analogy. If my friend's posts go along the "half full" attitude, I don't need a filter in my newsfeed. If my friend's posts go along the "half empty" attitude, then I either limit (or block) their daily rants and/or whines from what my eyes read on regular basis. 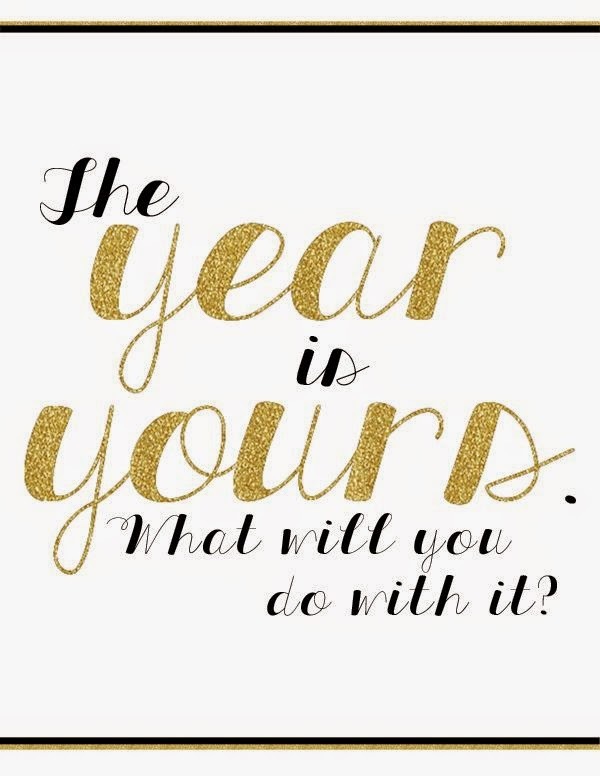 Simple choices, yes? It was for me. Please allow me to raise my full glass to you this morning in celebration of positive emotions and "can do" attitudes. God bless the optimistic people of this world, the world needs us! When I tell others about a book I've read, and I want to encourage them to read it, I usually give them as much information as I can to convince them...without giving away the story. On rare occasions, I'll say to my friends, "Trust me on this one, just read it." Those who trust me will read it, those who don't,...well,...they miss out. You see, some books need no introduction. It's actually more fun to unravel the entire book with your own mind instead of any preset notion you may get from someone else. It doesn't usually happen this way for me, though. I usually know more about a book than I want to know before I begin reading it. Complete surprises are rare. Delightful, hard-to-describe surprises are even more rare. 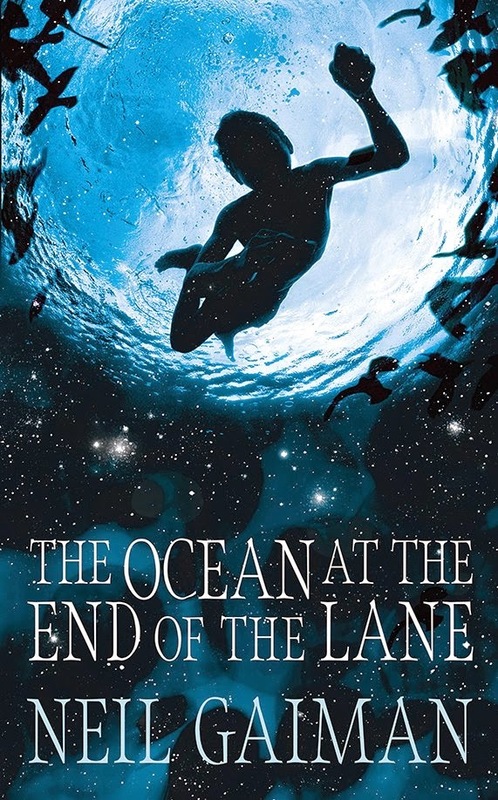 The Ocean at the End of the Lane by Neil Gaiman is one of those. I like the UK cover the most. First, I knew Patrick Rothfuss (an author I adore) is a fan of Neil Gaiman's writing. I've heard him mention it several times. Second, the book appeared on a "Best Books for 2014" list that was put together by a reading site I follow. When I looked up several other literary sites, the book was also on their lists. When I take those three things and add in two weeks of Christmas vacation from work, it means I have more time to read and more time to explore books I might like to read. I was able to read several books over the holidays because I could stay up late or get up early to enjoy quiet reading time without having to worry about work, and it didn't collide with other things I wanted to do with my family and friends. It was...glorious! This is one book where you're just going to have to trust my judgment...and the judgment of many book reviewers. Don't spoil it for yourself by reading several reviews and summaries. Don't do that. I want you to enjoy it, as I did, with no preconceived notions. I assure you, though, the notion you start out with when you read the beginning of the book will not be the one you have in the middle or at the end. The book is wonderful in that way. And it is...quite wonderful.